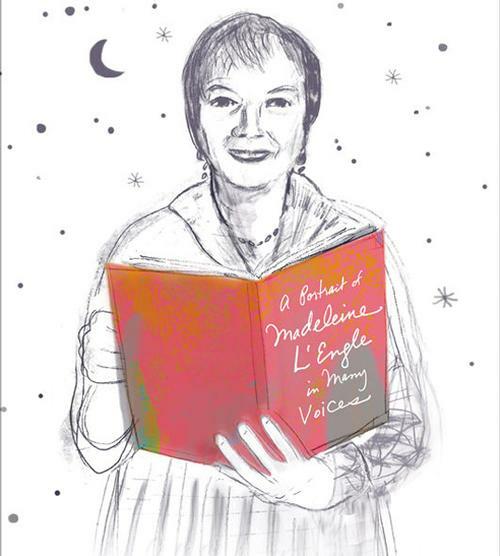 Today marks 100 years since the birth of children's and young adult author Madeleine L'Engle, and some of our resident book lovers are pondering her legacy – and her best-known book, A Wrinkle In Time – to celebrate! The book was recently made into a movie, and there also exists a graphic novel adaptation from a few years back, both of which have brought the old classic back into the conversation after many of us perhaps hadn’t thought about it since childhood. Our trusty Free Library readers have varying feelings regarding L’Engle’s work, particularly A Wrinkle In Time, ranging from "that’s not what I remembered!" to "OMG I STILL LOVE IT SO MUCH!" – and maybe that’s precisely the point, right? Sometimes our best childhood memories speak to us in a new way as we grow older, while other times, a re-read reminds us that we love it just the same and give us all the feels. In any case, let’s toast to Madeleine L’Engle and the lasting impression she made on so many of us! "As a children’s librarian, I try to read (and often re-read) the books that many consider ‘classic children’s literature.’ One such book is A Wrinkle in Time by Madeleine L’Engle. I will admit that this is a book I was assigned to read in middle school and never actually read. This is also a book I tried to pick up a few years ago when it was announced that a movie would be made about it. Twice now I have tried to immerse myself in this classic children’s book, and a Newbery winner to boot, unsuccessfully. I will admit to only giving it a few chapters but I am a firm believer in not finishing a book I’m not enjoying. The story and characters just didn’t catch my attention quick enough. “I know I read A Wrinkle in Time as a kid, but I don’t remember actually reading it. The thought of it was just sort of always floating around in my head, mixing up with all the sequels. I remember loving it, but I couldn’t really tell you any of the details except that Meg was the hero and she had a really smart little brother with two names and there were three witches. When the movie was about to come out last year, I decided to re-read the book to get ready for it. Sometimes childhood memories need to remain just that. A Wrinkle in Time has not aged well for me (or, maybe I have not aged well for it). I was constantly frustrated by how passive and reactionary Meg is in the book. I remember her being the hero, but it’s Calvin who is the active protagonist here. All the typical ‘heroic’ actions in the book are done by boys, and Meg is just along for the ride. I didn’t remember reading it like that at all as a kid, and I was extremely disappointed that the book doesn’t reflect the actual attributes I ascribed to Meg in my memory. I also didn’t remember or didn’t recognize exactly how strong the religious aspects of the story are. Reading it as an adult, I found it jarring to say the least. "Books have been a part of my life ever since I was a child. I remember spending time in old bookstores with my family. My dad would search for rare books for his collection, while the rest of us would search for gems for ourselves. To this day, one of my favorite pastimes is getting lost for hours in my favorite bookstores, and going through stacks of books to add to my own collection. Some of the best memories I have as a child are my mom and dad reading to my brother and me. George MacDonald, J. R. R Tolkien, C. S. Lewis, and Madeline L'Engle were by far our most-read. My dad would read The Lords of the Rings and The Chronicles of Narnia. My mom read A Wrinkle In Time. I fell in love with this incredible book from the moment I heard its inspiring and magical words. From the bond that Meg and Charles Wallace shared, to Meg feeling the torment of being an outcast (but in the end accepting who she is), the never-ending love of Mrs. Whatsit, Mrs. Who, and Mrs. Which, the mind control of IT, the effervescent Happy Medium, and the protective blanket of Aunt Beast, these characters would stay close to my heart even to this day. I don't remember the day or the year, but my mom took me through what seemed like an actual ‘wrinkle in time’ when she took me to meet Madeleine L’Engle. There are a few things I remember about this occasion. First, Madeleine was wearing the most colorful, unique sweater I had ever seen. Second, when I did meet her up close, she seemed so otherworldly to me that I all I could manage to say was 'I love your sweater!' She smiled and said, 'Thank you, I love it, too!' I have always thought that she wrote such magical words to me, as if Madeline was personally wishing me well on my own journey, whatever that may be. In a way, I also felt as if she was telling me with those words that anything is possible as long as you believe! I know now, that even in that small moment in time, we were kindred spirits. Now, I express myself in many ways through my tattoos. I have several literary tattoos, one of which happens to be for A Wrinkle In Time! To some, it may just look like a circle with a wrinkled arrow going through it. And frankly, it is, but to me, it also represents the simplicity of the meaning behind Madeleine's most beautiful book and soul... Love! So what about you? Are there books that you loved as a child and still love, or do you think differently about them now? We know it can be tricky. Let us know in the comments! My fifth grade teacher read "A Wrinkle in Time" to us and I was hooked! I've read many of Madeleine's books. I introduced my oldest son to her books when he was about 7. He was hooked to. Madeleine opened new worlds to us and new possibilities. Thank you for sharing, Denise!